Spring is here again. Grass is turning green. Flowers are blooming. It’s time to start sprucing up the yard, and just because the sun goes down doesn’t mean you can’t still show it off. 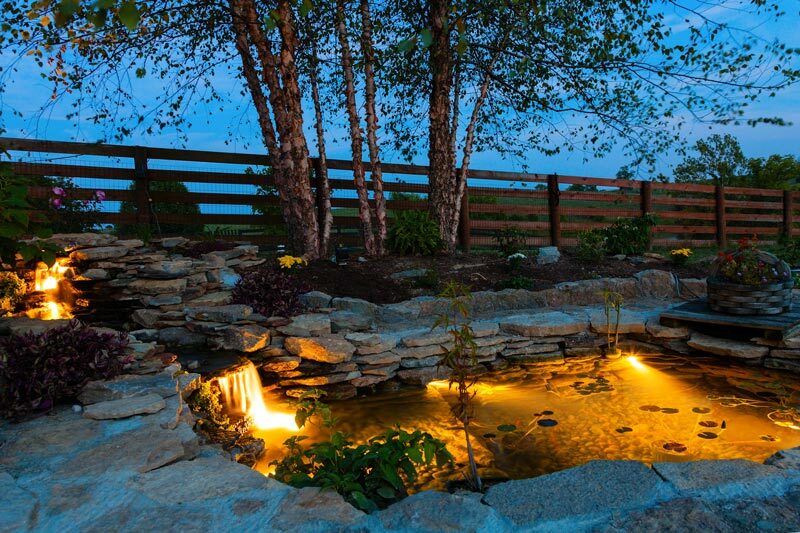 From trees and plants to ponds, fountains, decks, and hardscapes, there’s an LED landscape light that will give them life at night. 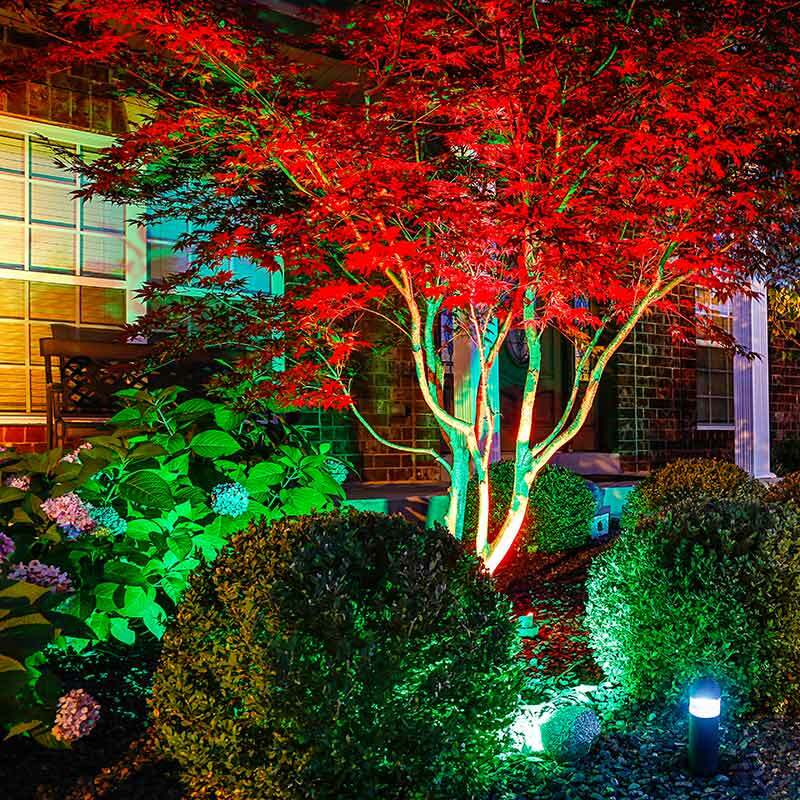 Whether you already have landscape lighting ideas or are totally clueless, the tips and products below can help you achieve a brilliantly lit outdoor display. 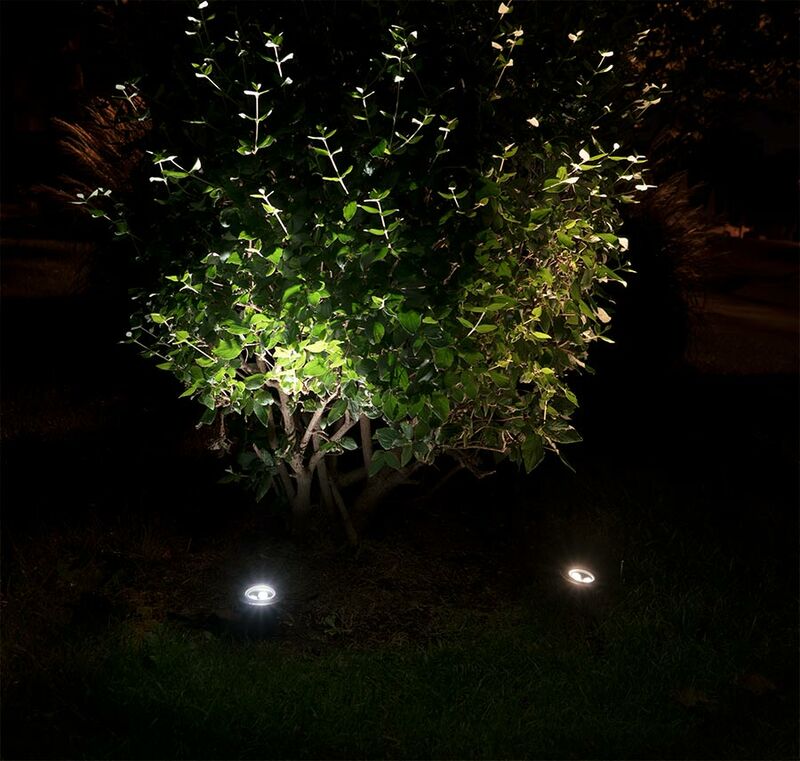 With LED landscape spotlights, you can illuminate trees, plants, statues, bushes, and other parts of your landscape. These powerful little LED lights emit several shades of white light as well as single colors or RGB color-changing illumination. You can choose the brightness that’s right for what you want to showcase whether it’s a larger tree or a small plant. 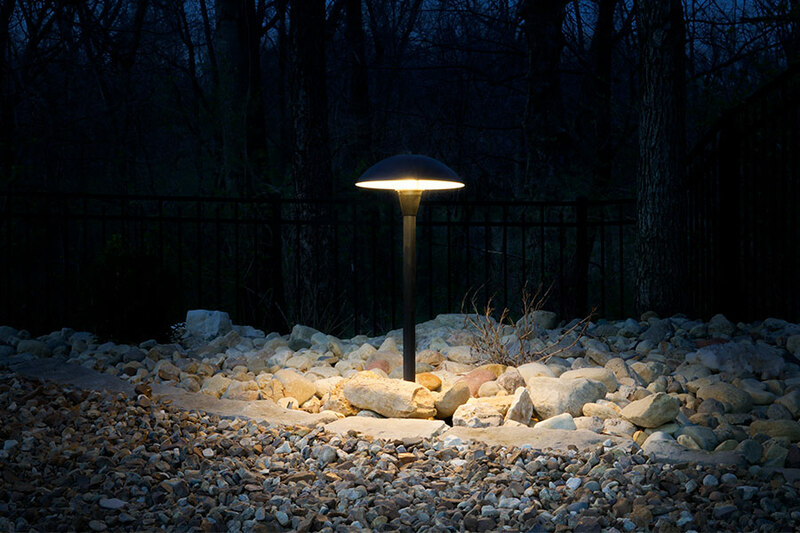 All LED landscape spotlights come with an adjustable base or a ground stake, and you can easily aim them where light is needed. Plug-and-play options are available for quick, simple installation. 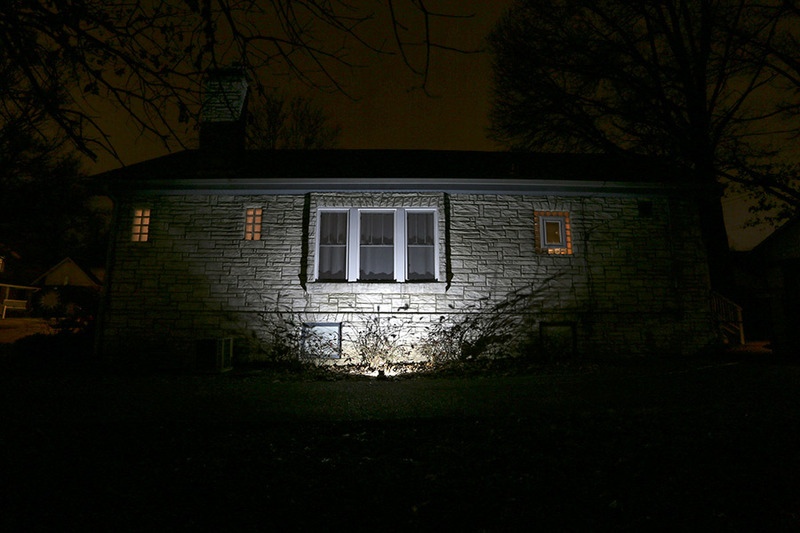 If you need landscape lighting ideas for large outdoor structures like your home or a tall tree, look into LED landscape flood lights. These lights are brighter and have wide beam patterns for large-area lighting. 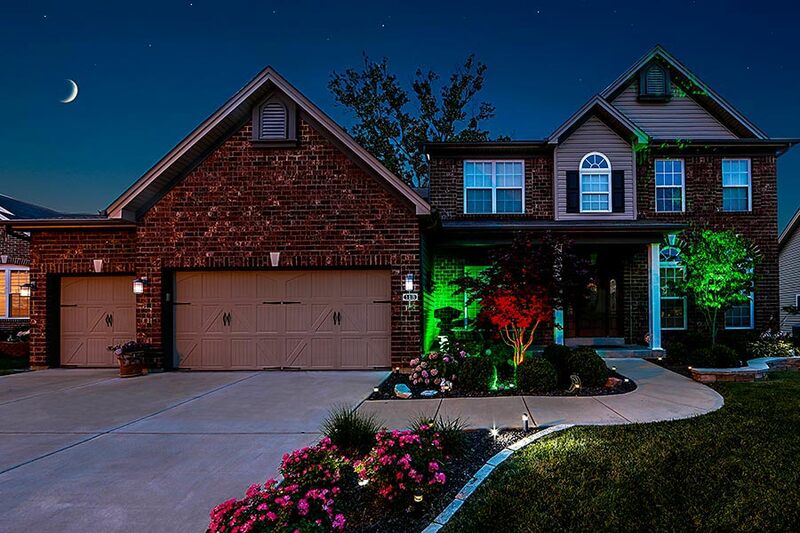 If you’re looking for a more covert light, try LED landscape well lights. 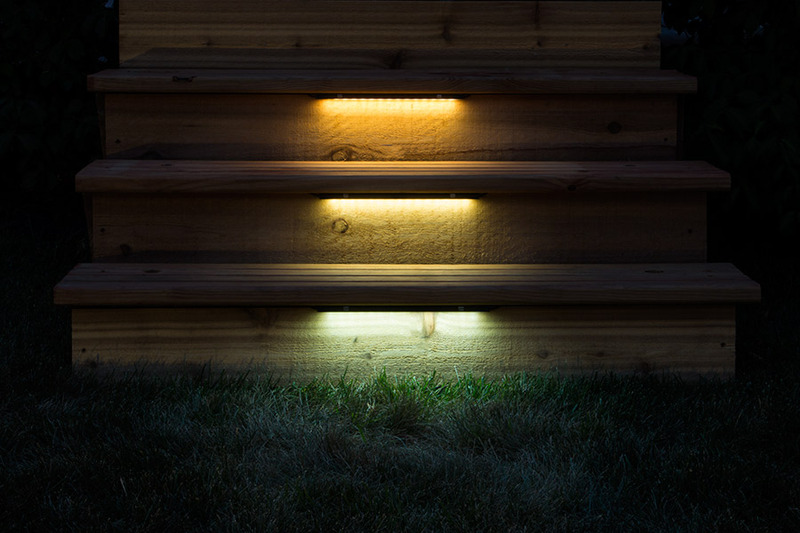 These white or RGB color-changing lights are designed to be mounted in the ground. They’re perfect for illuminating trees from below or adding decorative, useful lighting to pathways, mulch beds, gardens, and decks. From rails to steps and even flooring, decks are full of spots to add lighting. 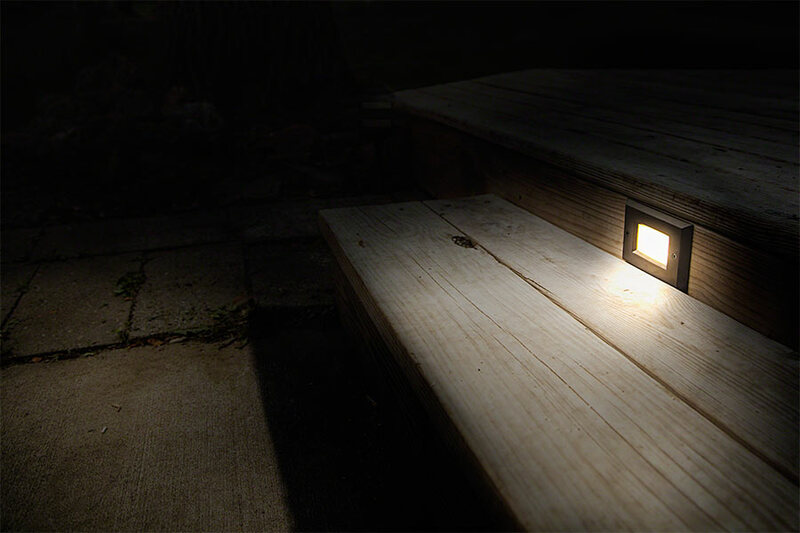 If you’re in need of some deck lighting ideas, look no further than LED eyelid lights, LED strip lights, recessed lights, and outdoor step lights. 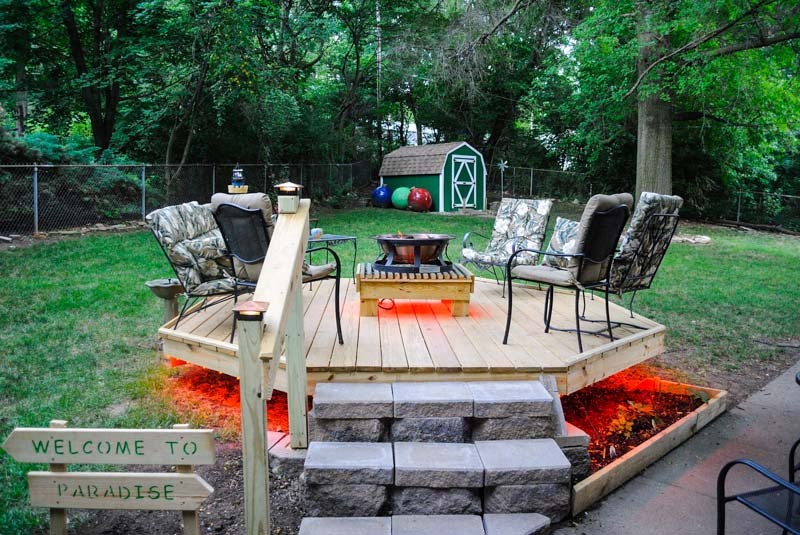 Adding these LED lights in, on, and around your deck will not only brighten up the space and add visibility, but it also adds an upscale, decorative touch. For seamless rail lighting or step lighting, LED strip lights are the answer. These flexible weatherproof or waterproof strips come in many colors and intensities for just the right touch of light. 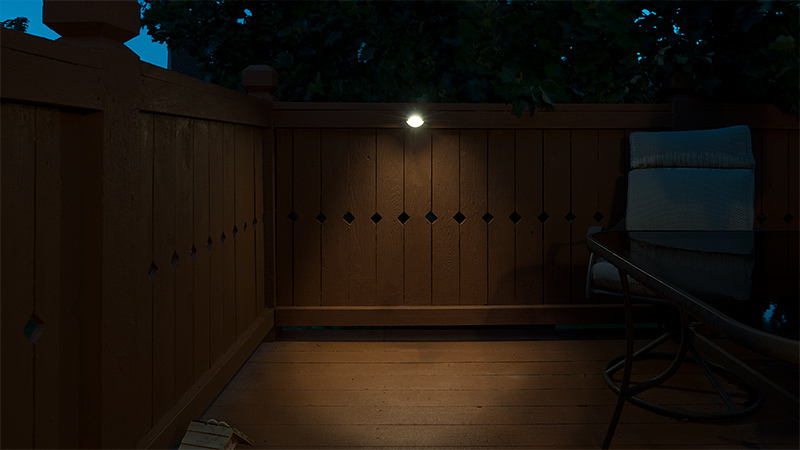 LED eyelid lights provide a surface-mount step or deck lighting option and aim illumination downward where it’s needed. Recessed LED step lights are available in round or square shapes with a variety of faceplate styles and colors to match your deck. Use them on steps or in deck flooring. 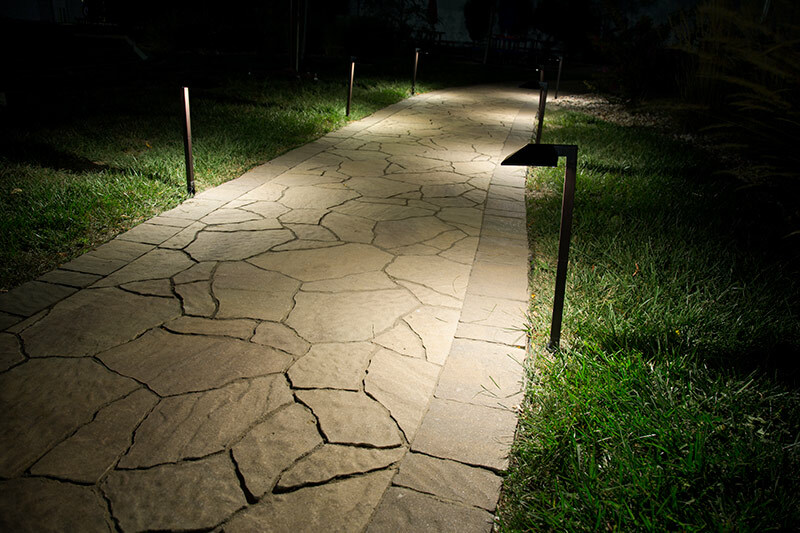 If you’re looking for landscape lighting ideas that will spruce up your yard while serving a purpose, consider LED pathway lights. They’re perfect for more than just landscape path lighting; you can use them around driveways as well as in gardens and mulch beds. Choose from a variety of different decorative styles, such as bollard, pagoda, mushroom, copper, and more. Believe it or not, you can add lights inside stone retaining walls and under stone blocks and pavers. 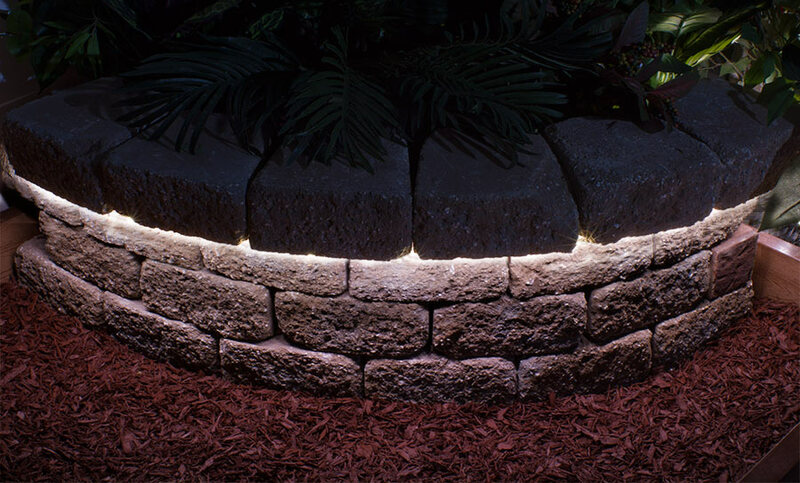 LED hardscape lighting/retaining wall lights emit cool, natural, or warm white illumination. Choose from 7-, 12-, and 18-inch lengths for the best fit where you need them. You’re not limited to using these lights with only pavers and stone blocks. 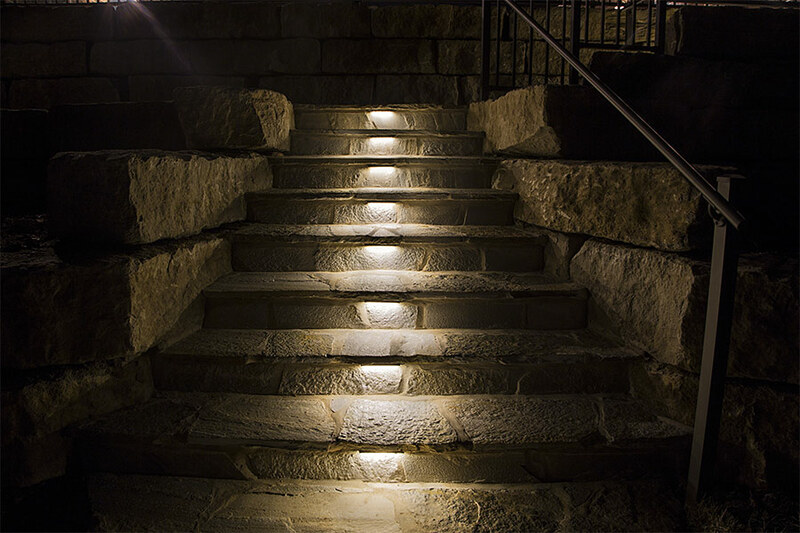 You can also use them for stone or deck step lighting or to light the underside of deck rails. Who says that landscape lighting has to be limited to just land? 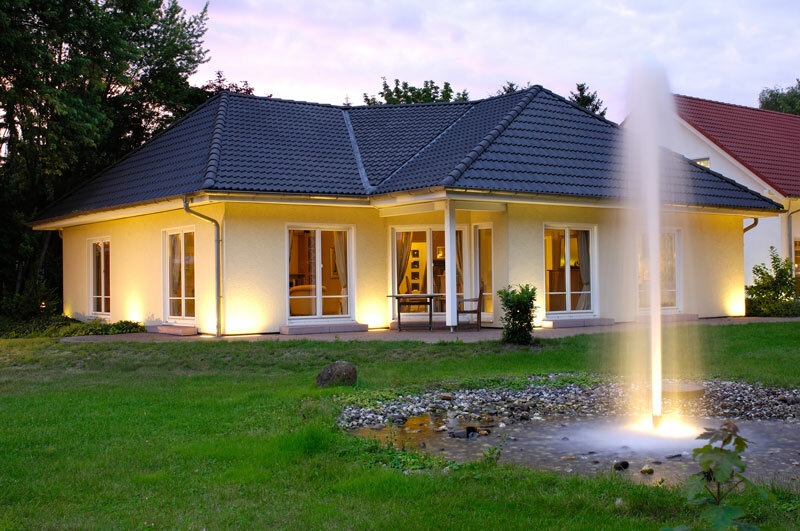 Underwater LED pond lights and LED fountain lights make a statement with single or multicolored illumination. Now you can watch fish swim at night or simply enjoy the light and colors. These waterproof lights can be fully submerged. Pond lights are available with weighted bases (sold separately) and are aimable. LED fountain lights encircle jets of water that are projected into the air. New LED Pond Lights and Fountain Lights Have Arrived! Now Offering Custom Printed LED Panel Lights!